It drives iOS and Android apps using the WebDriver protocol. 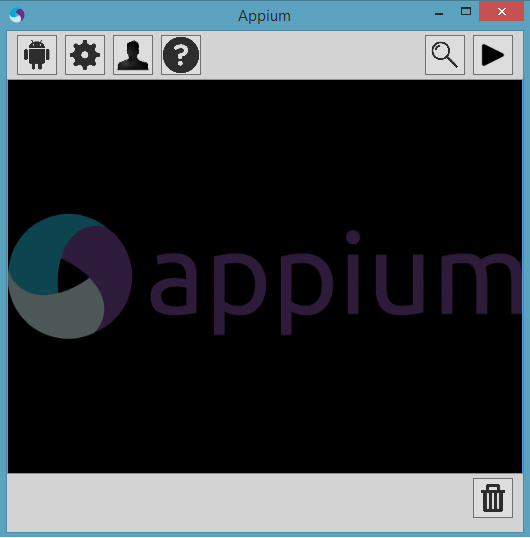 Below are the step by step instructions to run Appium on windows machine for Android automation. 1. Install JDK (7+) on your machine and set JAVA_HOME in environment variables. 3. In newly opened command prompt type android and hit Enter which should launch SDK Manager (if it doesn't then android home has not been set properly). 4. Once launched please select the options as mentioned and install them. It will take some time to finish. Note: 1. 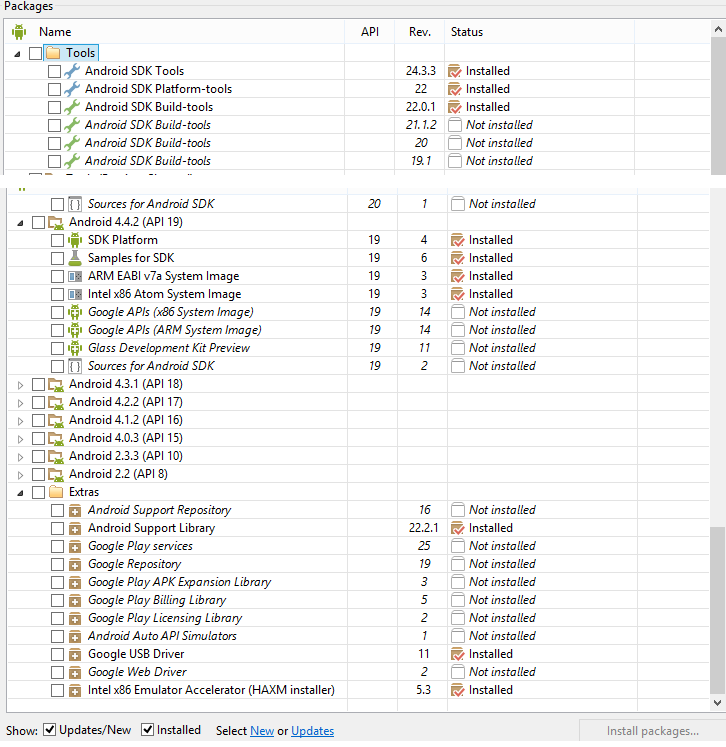 In above image package installation is shown for Android 4.4.2. You can select the same packages for the required version of android. 2. As shown in the last of the image, make sure that Intex x86 Emulator Accelerator is selected. In last it asks if you want to update the environment variables path for Node. Click Yes on that. a) Open a new command prompt type npm -version and press Enter. It should show the npm version. 8. Now download Appium for Windows from here and install it. 9. Once installed Appium exe can be triggered. That's All! You are all set to start writing your tests for mobile automation.